This fueled thoughts for his 2012 campaign where he experiments with crowd fueled participation into his music, events and artist career. ‘For The People’ has that socialist charm while actually offering his fans and music enthusiast alike a chance to participate in his work as an artist and to even get something in return. 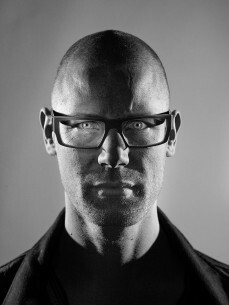 Frontliner’s career has been marked with success since he started in 2006, when he (at that time known as ‘Abject’) and Headhunterz joined forces to create two instant hits that were released under the Scantraxx Recordz Label; Scantraxx Rootz (2006) and End of my Existence (2006). From there he build on an impressive discography both as a solo artist and together with various fellow artists who were happy to work with his creative approach. ‘Spacer’ eventually became the most played hardstyle track of 2008 and can still be considered one of the most popular tracks in the genre.